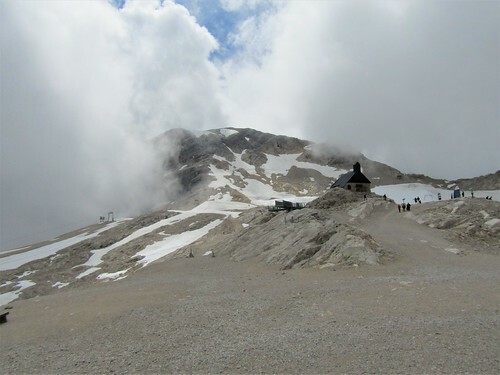 Germany's largest glacier, the Schneeferner, is located on the Zugspitze in the Bavarian Alps. 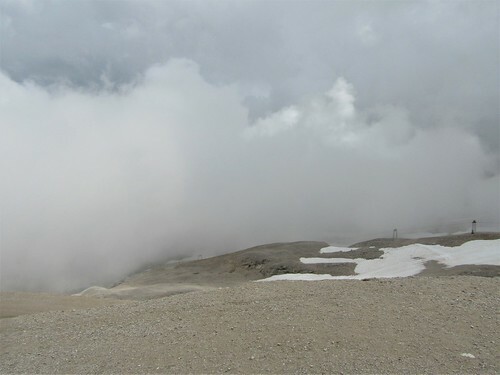 This glacier was once part of the Plattachferner, a glacier which covered almost an area of 300 hectares. 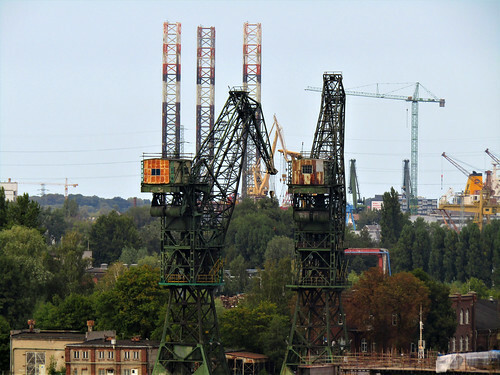 Today it has shrunk so much that the Schneeferner is in danger of disappearing. 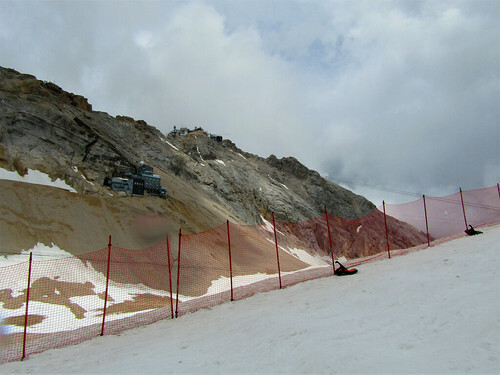 However everything possible is being done to preserve the glacier as long as possible. 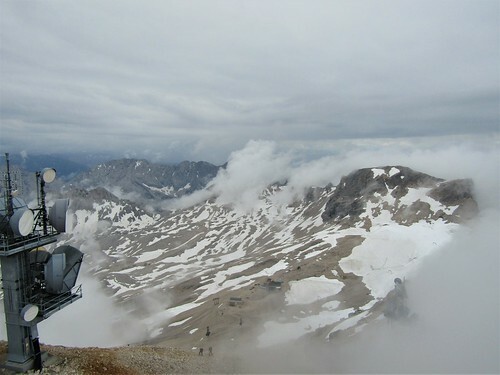 The Zugspitze Glacier is still a popular place for skiers and snowboarders during the winter months and offers perfectly prepared slopes. 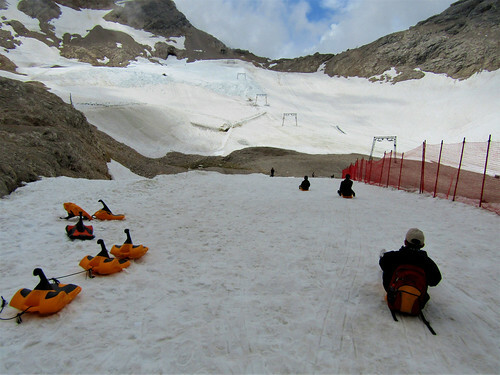 During the summer months visitors can borrow a toboggan for free and slide down the glacier. 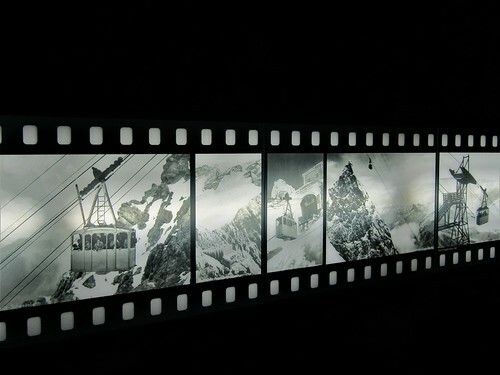 It's also possible to have a glacier walk and enjoy fantastic views. 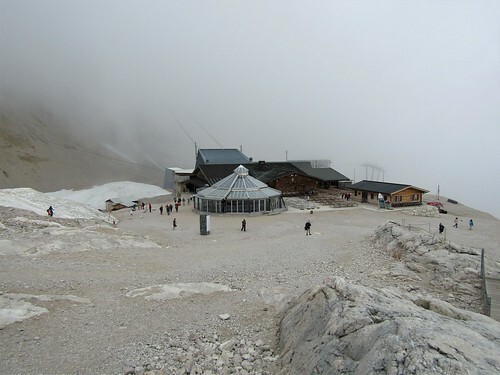 You can reach the Schneeferner by taking the glacier lifts from the top of the Zugspitze. 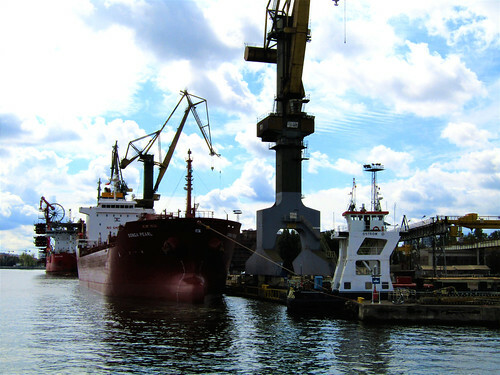 It has an infrastructure with 2 restaurants and a sun terrace which makes it an excellent place to admire the surroundings. 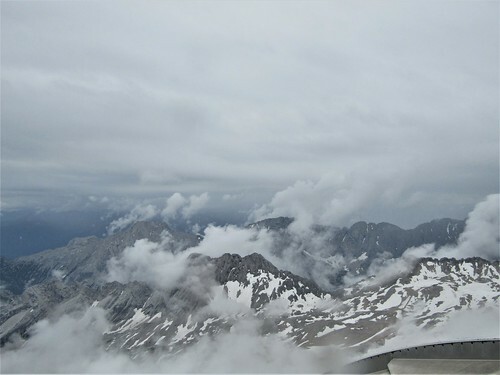 With a height of 2962m, the Zugspitze is the highest mountain in Germany. 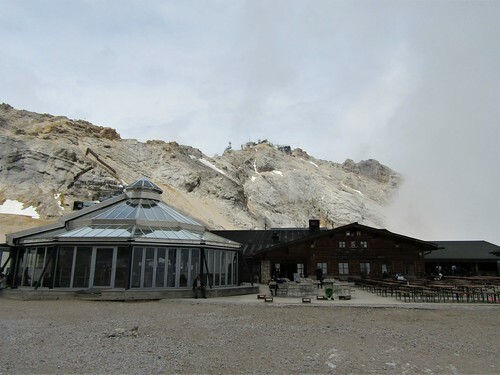 It's part of the Wetterstein Mountains and lies at the Austria-Germany border. 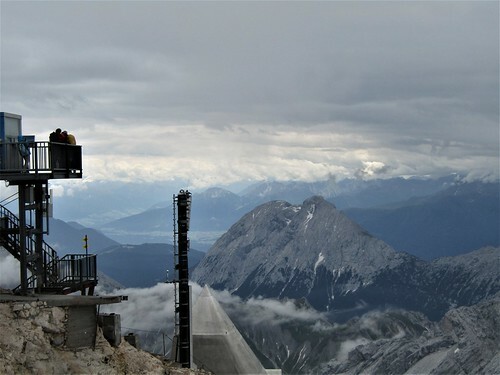 The top of the Zugspitze can be reached from two different sides. 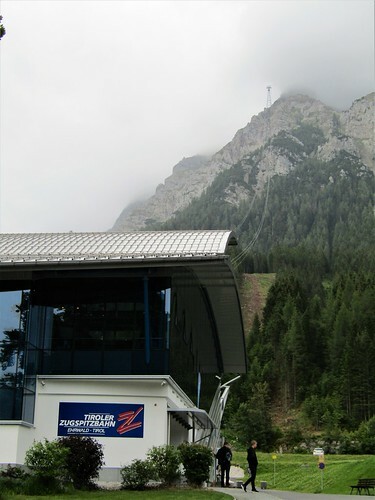 You can take the Eibsee Cable Car at the German side of the mountain or the Tiroler Zugspitzbahn in Ehrwald, Austria. 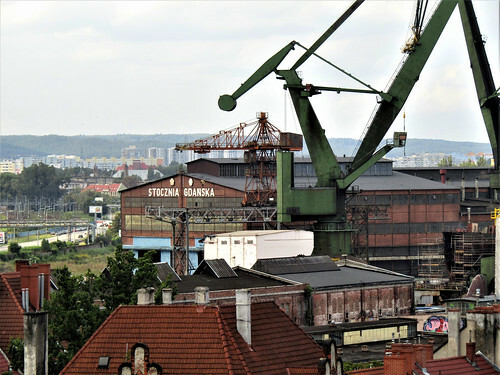 The top offers breathtaking views of the surrounding area. 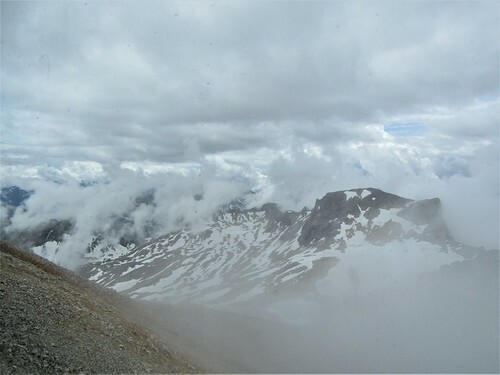 We arrived on a cloudy day and couldn't see as far as on a sunny day, but it was still a special experience being surrounded by clouds. 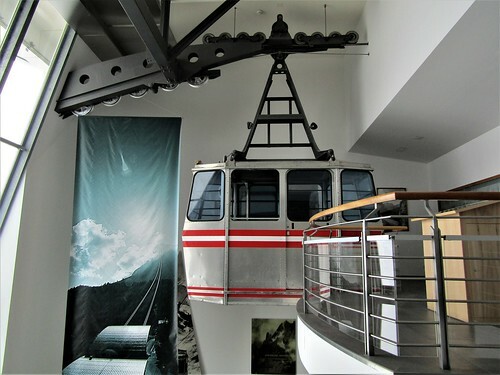 When you take the Tiroler Zugspitzbahn in Ehrwald you also get a free ticket to the museum “Fascination Zugspitze”. 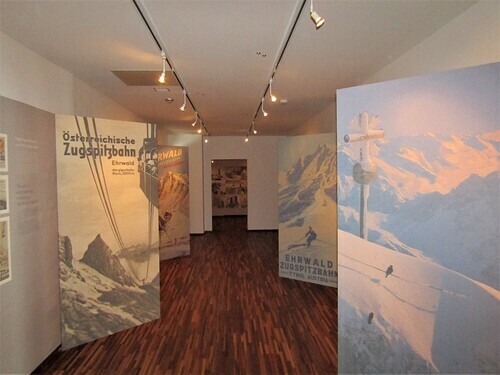 This museum explains more about the historical developments on the Zugspitze. 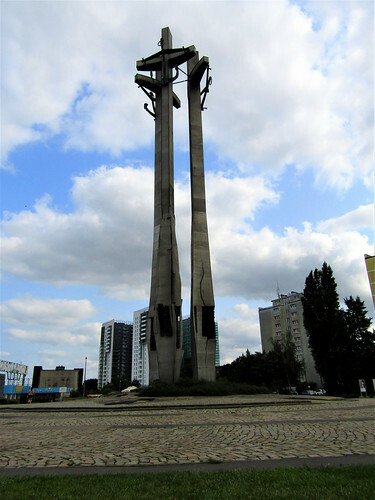 At the top you'll also find a great infrastructure with lots of restaurants to choose from. 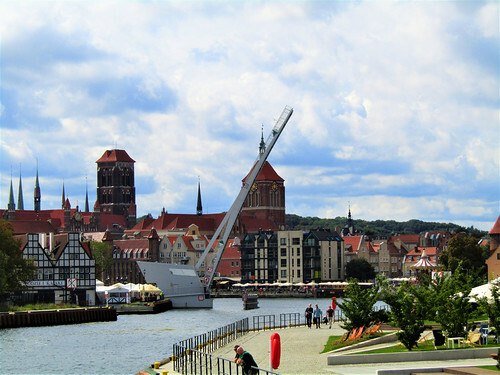 Everything from small appetizers to a large meal and with a great view to enjoy. 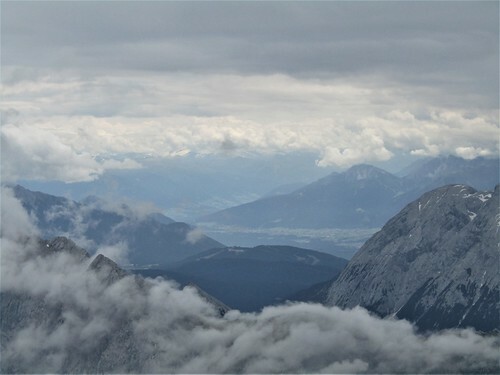 Besides all of this there's one more thing you can do for a complete visit to the Zugspitze. 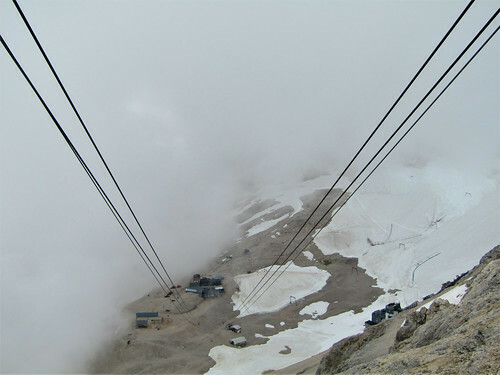 You can take a cable car from the summit to a glacier which is situated 300m below. 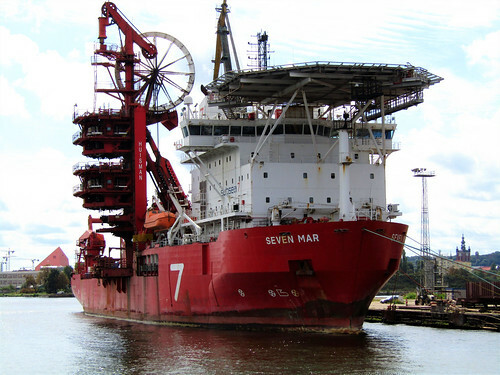 This is a great place for everyone who likes to slide down a glacier. 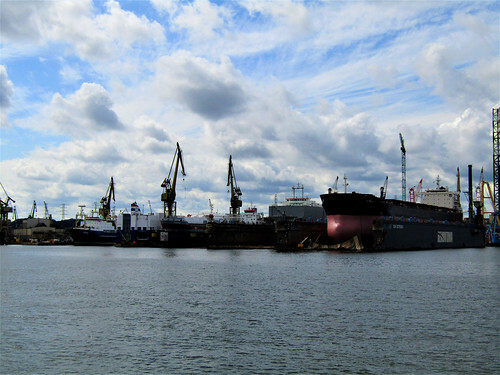 At the Old Harbor in Gdansk you can find many ships for a cruise on the Motława River. 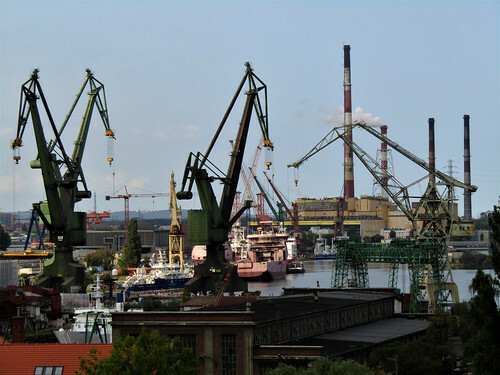 They all follow the same route from the harbor through Gdansk Shipyard, to Westerplatte and back. 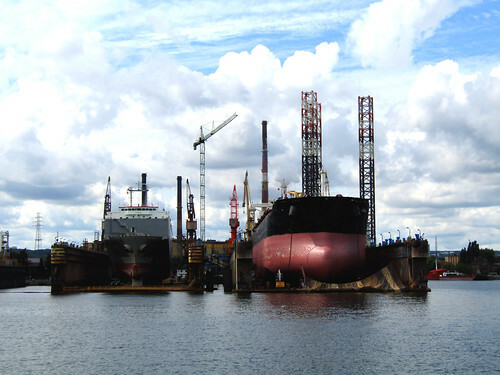 We chose the Galeon Lew (Galleon Lion) because it looks spectacular and the children couldn't wait to set aboard a pirate ship. 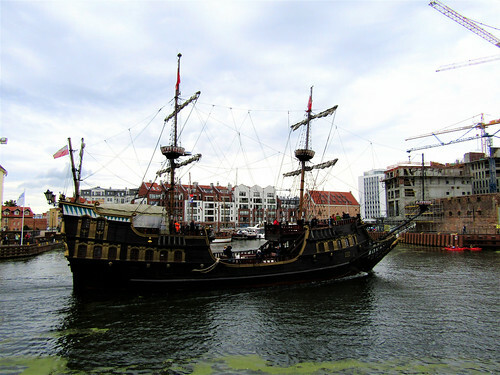 The galleon has an upper and lower deck and offers the possibility to eat or drink during the trip. 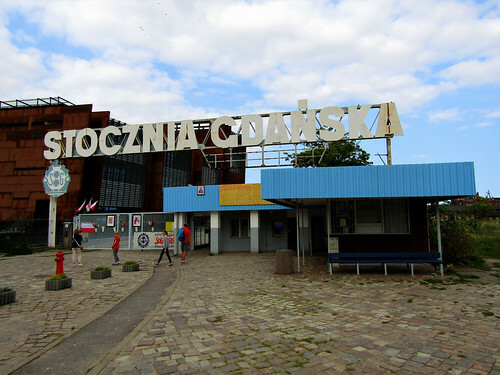 There's also a tour guide on board who explains more about the important sights during the cruise in Polish, German, English and Russian. 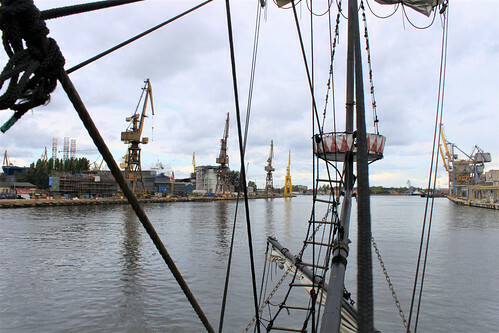 From the galleon you have a great view of the docks and the ships in Gdansk Shipyard. 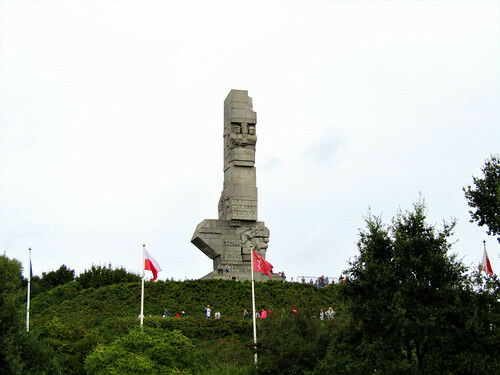 You get the possibility to get off the ship at Westerplatte and get picked up by the next galleon. 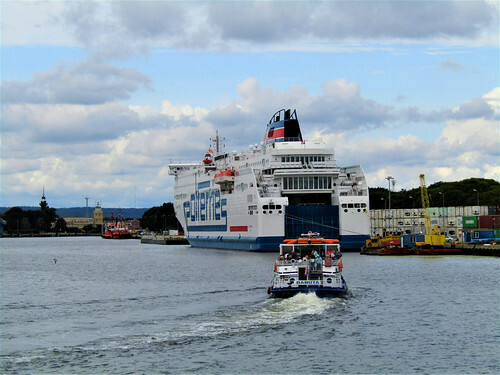 The whole cruise takes around 90 minutes. 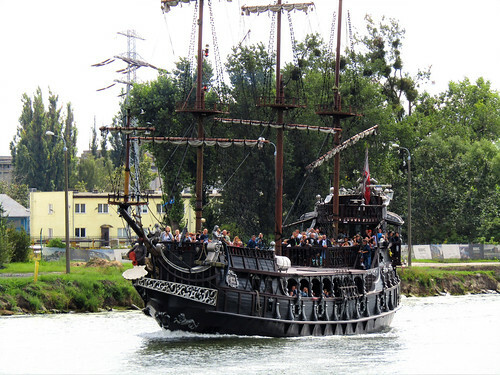 More information about a cruise on a galleon on the Motława River you can find here.